Many of the reflections on the experience of the October Revolution and the Soviet Union have and will focus on economics, democracy, and to some extent foreign policy. Yet there is a frequently overlooked chapter that was of great importance to most of what we currently reference as the “global South,” i.e., the national-colonial question. The “national-colonial question” refers to a designation of the special oppression—including but not limited to colonialism—of peoples (based on alleged race and/or ethnicity) and the subjugation of nations around the planet, most especially in Asia, Africa and Latin America, but also including Ireland, First Nations in the Western Hemisphere, the Chicano people in the US Southwest, and African Americans in the USA. The national-colonial question was at the heart of the October Revolution because the October Revolution was not only a movement for socialism, but a revolution against empire. It was a revolution within and against the Russian Empire, a state structure referenced at the time as a “prison house of nations.” The national-colonial question became central to Russian revolutionary theory, whether explicitly or implicitly (including by omission). Any revolutionary project had to come to grips with the multitude of peoples within the Russian Empire and the history of virulent chauvinism and oppression including annexations and bloody pogroms (as, most notably, perpetrated against the Jews). Lenin came to especially appreciate the strategic significance of the national-colonial question, though in the beginning his tendency was represented by more of an active opposition to Russian “Great Nation Privilege” (analogous to what many of us reference as “white privilege” in the USA context) and national inequality. Lenin spoke strongly against discrimination and chauvinism, and in favor of equality. Yet this was only part of the equation. Within the Bolshevik Party, and increasingly from the revolutionaries within the oppressed nations of the Russian Empire, another voice emerged, a voice that received general support—though not unconditional—from Lenin. This was the voice arguing in favor of national self-determination. The thesis was straight forward: nations that were oppressed by others—including but not limited to imperialist states—had a right to determine their own futures even if socialists might not recommend secession. This, of course, begged the question: what is a “nation”? Lenin supported the orientation of Joseph Stalin, an up and coming leader from what we know as “Georgia”, who authored a major work on the question of nationhood. While in many respects path-breaking, it was largely Eurocentric in its orientation and could not account for the national aspirations of peoples who did not fit into Stalin’s defined categories. In the context of the Russian Empire, populations such as Russian Jews and Turks of Central Asia did not easily fit within Stalin’s mold and attempts to classify them were often inconclusive, analytically speaking. In either case, this was the guiding theory until the October Revolution unfolded. The October Revolution broke ground on the national-colonial question like no previous revolutionary movement. At the same time, both the theory and practice were contradictory and in some cases, destructive. Time and space do not permit an exhaustive examination of this, but we will attempt to identify some of the major accomplishments and major limitations of the October Revolution with regard to the national-colonial question. Breaking with imperialist schemes: One of the most significant and understated contributions of the October Revolution was its willingness to reveal the imperialist schemes and agreements that had laid the foundation for World War I. The warring powers had all sorts of plans for the post-war world and the Bolsheviks unveiled them. Think Pentagon Papers or WikiLeaks. Self-Determination: This was both a contribution and limitation. Within the Russian revolutionary movement there were those who actively opposed the concept of national self-determination, seeing that as divisive and distractive. Lenin disagreed, though not consistently. The Bolsheviks supported Finland’s secession, for instance. At the time Finland had a significant revolutionary movement that might have taken power. Conceptualization of the USSR: The very notion of a Union of Soviet Socialist Republics was revolutionary, i.e., that various national republics would come together under one umbrella and agree on a socialist revolutionary project. The closest parallel to this might have been the Swiss Confederation, albeit a capitalist project. There have been federations and confederations, but the notion of a USSR was aimed at suggesting a different sort of political and economic integration. Attention to national chauvinism: When the October Revolution first unfolded, there were those, among Russians, who believed that this was a ‘Russian affair.’ The Tashkent Soviet, for instance, was dominated by Russians despite the fact that Tashkent was found in what we now know as Uzbekistan (and, at the time, was part of Turkestan). The Bolsheviks directly intervened to address the national chauvinism of the Tashkent Soviet. The October Revolution introduced dramatic changes aimed at ending national oppression and national chauvinism, although in doing so it did not always or fully resolve the underlying contradictions. Inspiration for anti-colonial struggles: Particularly with the 1920 “Congress of the Peoples of the East” held in Baku, Azerbaijan, the October Revolution represented inspiration to anti-colonial, national liberation movements. Representatives of national liberation struggles visited the USSR and sought from the USSR support for their own movements. National-Territorial Delimitation: One of the more controversial projects of the Soviet experiment occurred under Stalin’s leadership and was largely in contradiction with Stalin’s own concept of the nation. The Soviet leadership, in order to address the national sentiments of countless peoples, committed to developing and establishing formal “nations” out of peoples, some of which were economically and politically very primitive. Republics and autonomous regions were created under the theory of advancing these peoples toward nationhood. One of the challenges which arose from this process was that it also led to the breakup of the predominantly Muslim and Turkic region of Turkestan, in effect weakening the power of that region if considered as a bloc. Keeping in mind the many unprecedented advances of the October Revolution, there were equally significant drawbacks in the theory and practice of the national-colonial question. Ukraine: Despite the historical connections between Ukraine and Russia, Ukraine was a subject nation in the Russian Empire. Though there had been demands for national self-determination, it was denied and treated as a reactionary effort. This had a long-term impact on the Soviet experiment particularly during the 1930s and the Nazi invasion in 1941. Poland: Towards the end of the Russian Civil War, Soviet Marshal Tuckhachevsky and other elements of the political leadership adopted a notion of spreading the October Revolution by the sword. In the case of Poland, the assumption was that the Red Army could ‘liberate’ Poland from the landowners and capitalists irrespective of whether there was a domestic movement for socialism. The Red Army was defeated outside of Warsaw. Thus, both national self-determination and the necessity to prioritize the internal contradictions of a social formation—Poland—were ignored with negative consequences for the Red Army and, ultimately, the October Revolution. Turkestan: An entire wing of the Bolshevik Party (and the Russian revolutionary movement) unfolded within what came to be known as Soviet Central Asia, but at the time was known as Turkestan. This movement, which would later be named “Muslim National Communism”, sought to build a revolutionary movement in Central Asia by creating an independent soviet republic of Turkestan which they hoped would inspire and attract the Muslim World to socialism. This movement, whose most well-known leader was Mir Said Sultan Galiev, was repressed and, ultimately, crushed under Stalin. Expulsion of nationalities during World War II: Despite the rhetoric and, admittedly, mixed practices flowing from the October Revolution on the national-colonial question, no one could have anticipated the expulsions of nationalities from their homelands during World War II—the Great Patriotic War, as it was referenced by the Soviet leadership—by the Stalinian ruling group after being designated enemies. The Volga Germans and the Tartars are only two examples of approximately fifteen expelled groups, some of which were only able to return to their homelands decades later. Post-World War II Eastern Europe and the reemergence of anti-Semitism: Though most of the original leadership of the October Revolution had been purged, the USSR continued to lay claim to support for both socialism and national self-determination. The principal aim of the Soviet leadership, following the war, was to protect the borders of the USSR from the reemergence of hostile regimes (as had existed prior to World War II). When the USA and Britain demonstrated little interest in continued détente, the Soviets backed movements/regimes in Eastern Europe sympathetic to the USSR. The exceptions were Albania and Yugoslavia, both of which had liberated themselves from the Germans. Ironically, these actions were consistent with the theories of the—then—late Marshal Tuckhachevsky and his spreading socialism by the sword. It was also after World War II that, quite ironically and sadly, the Soviet leadership moved in paranoid fashion against its own Jewish population, suspicious of their intents. The large number of Jews in the leadership of the Soviet Party became a theme for anti-Semites who wanted to suggest that there was some sort of alien influence in the regime. Existing within the October Revolution were tendencies towards what Lenin referenced as “imperialist economism,” or a denying of the importance of the national-colonial question and the issue of national inequality. In what should sound familiar to US audiences, there were many revolutionaries who saw the “class question” as all-powerful and taking precedent over—if not excluding—all else. Lenin reminded his comrades that in the absence of national equality, there could not be trust. History demonstrates that the response Lenin received from most of the Bolshevik Party—in theory and practice—was ambivalent and frequently ambiguous. Even Stalin, who allegedly appreciated the significance of the national-colonial question, gravitated over time more and more in the direction of the notorious Great Russian chauvinism with which the oppressed nations of the former Russian Empire were deeply familiar. The national-colonial question has always represented a twilight zone for revolutionary movements in empires. Karl Marx had come to recognize the impact that 19th century English colonialism in Ireland had not only on the Irish people but on the English working class. Specifically, national oppression created a ‘partnership,’ for lack of a better term, between the ruling elites directing and perpetrating the oppression and the mass of the population of the ‘oppressor nation’ which, in either their actions or silence, supported said oppression. Lenin appreciated this in his tirades against national privilege but this was insufficient. Oppressed peoples need the ability to determine their own destiny. Yet determining one’s own destiny always runs the ‘risk’ of dismantling a former state structure and, as such, unintended consequences may emerge. In the case of England and Ireland, genuine self-determination could have challenged the British Empire. The incomplete nature of the Irish Revolution and the imposition of a form of neo-colonialism over southern Ireland aborted that possibility. In the case of Russia, genuine national self-determination would not only have resulted in new and different borders, but also a certain unpredictability. What would it have meant, for instance, if the agricultural base found in Ukraine was no longer available to a USSR? What would it have meant to have had a huge, independent—though allied—soviet republic in Turkestan/Central Asia, a largely Muslim population ethnically different in fundamental ways from the populations in the western parts of the Soviet Union? Could there actually have been a coordinated socialist project? How would disagreements be handled between revolutionary leaderships of the formerly oppressed nations and the formerly oppressor nation of the empire? To make it even more interesting, how would disagreements be handled if the formerly oppressed nation—which had now seceded—was led, not by socialists, but by capitalists? The October Revolution was unable to resolve these questions with any degree of consistency. Over time its efforts at resolution moved in the direction of abandoning a revolutionary approach towards the national-colonial question (internally), as well as a tendency to treat that question (externally) very selectively, largely based on Soviet foreign policy concerns and objectives. The October Revolution dared to pose questions that most revolutionaries in imperial states had avoided like the plague. They engaged in experiments that stunned the world with their brilliance. At the same time, these experiments were not deepened and sustained. 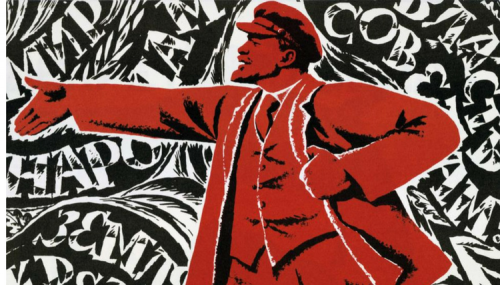 As the Left has witnessed in the decline and demise of the USSR, the lessons that the October Revolution attempted to promote have been largely forgotten or repudiated. It is now before a 21st century global Left to reignite a revolutionary, democratic and internationalist approach toward the national-colonial question, better understood these days as both opposition to racist & national oppression, and the struggle against imperialism, whether in its more traditional forms or increasingly as the system of transnational global capitalism. Bill Fletcher, Jr. is a long-time socialist and the former president of TransAfrica Forum. Follow him on Twitter, Facebook and at www.billfletcherjr.com.